Ghella Abergeldie Joint Venture and Watercare signed the contract to construct the Central Interceptor, a $1.2 billion wastewater tunnel with associated infrastructure. The largest wastewater project in New Zealand, the tunnel will stretch over 13 kilometres from Western Springs to the Māngere Wastewater Treatment Plant, collecting wastewater along the way via sewers and drop shafts. The Grey Lynn Tunnel, a 2-kilometre long extension has also been awarded to the JV as part of the construction contract. Mobilisation will start in May 2019 and the whole project is expected to be completed by 2025. The project will greatly benefit Auckland and the community by providing additional wastewater capacity to accommodate the growing city and help reduce the volume of wastewater overflows, so that everyone can enjoy clean waterways, beaches and estuaries. 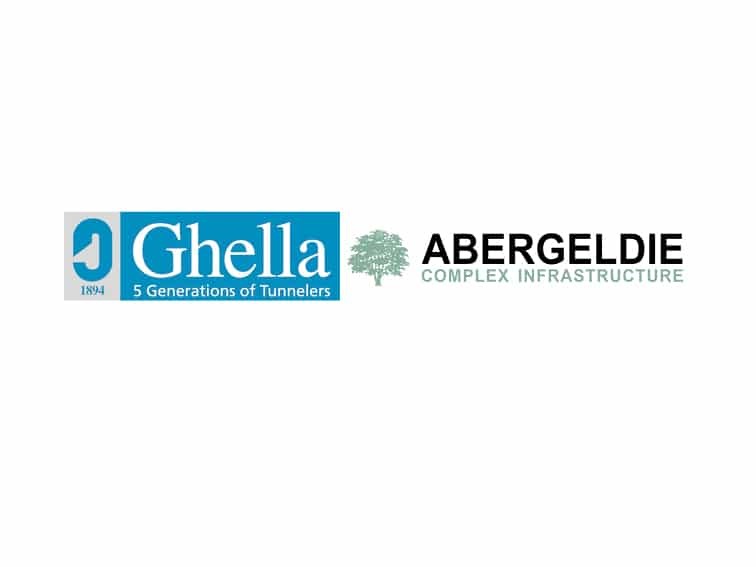 Ghella Abergeldie Joint Venture has over 150 years’ combined experience working on major water and wastewater projects and has successfully completed numerous projects of this scale across the world. This contract reflects another important milestone in Abergeldie’s 25-year long history as a multi-disciplinary construction company that delivers complex infrastructure contracts across Australia and New Zealand. Mick Boyle, Abergeldie CEO, said “this is exactly the type of project that suits Abergeldie. It is complex infrastructure that will help build a better community by providing the people of Auckland with a greatly improved environment. Any enquires in respect to this media release, please contact Sandra Hewi on +61 2 8717 7777 (AU) or Matt Mules +64 9 295 2570 (NZ). Earlier this month, the Lansdowne Bridge project reached a major milestone as it passed its halfway point to completion. The Australian and NSW governments are jointly funding the $18.6 million project to upgrade and replace the Lansdowne Bridge in Goulburn, which will improve road safety with new wider lanes, improved approaches and a shared path across the bridge. Abergeldie was engaged as head contractor to construct the concrete road bridge over 80m in length, upgrade the surrounding road approaches and other associated works. Mobilisation started in August 2018 and works are being undertaken in close coordination with the RMS design consultants and key third parties. 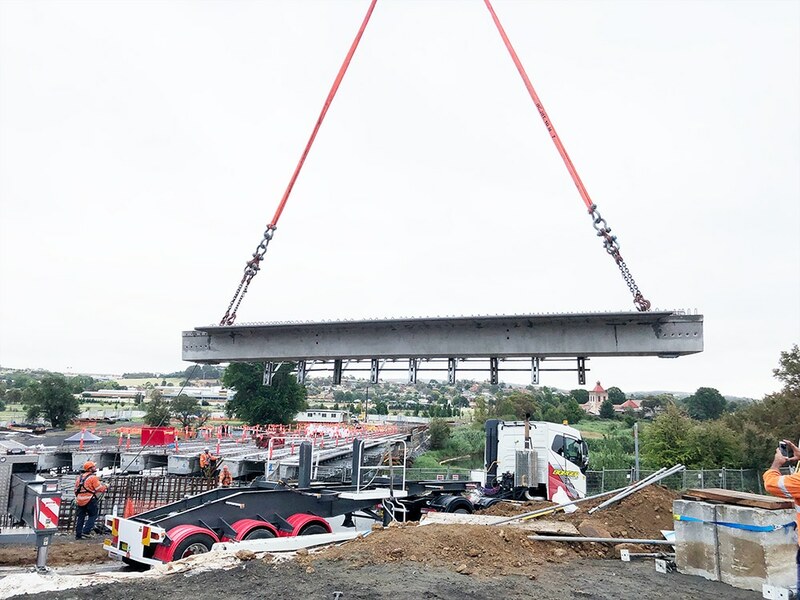 In the first week of February 2019, a milestone was reached when a 250-tonne crane was brought to site and the team successfully installed 30 precast concrete girders ranging from 12m to 15m in length and weighing up to 23 tonnes, marking the halfway point to project completion. Works has already commenced on the approach roads, with the remaining works including constructing retaining walls, backfilling bridge abutments, construction of bridge deck and all associated landscaping work to follow. The new bridge and approaches will provide a number of additional features and benefits to the road bridge users including, but not limited to, eliminating potential lead contamination of the waterway from deteriorating paintwork on the bridge, minimising disruption to the community by decreasing frequent bridge closures for maintenance work and significantly improving road safety. The bridge will provide an invaluable piece of infrastructure to the Goulburn community.